Visit Padstow Cornwall and the surrounding villages and stay in bandb, hotel or self catering cottage accommodation provided by BedPosts members. Padstow, Cornwall, is a fishing port and yachting haven close to Wadebridge, Bodmin and Newquay. The town is now popular amongst tourists. It's history pre-dates the Vikings. Visit The church of St Petroc dating back to 13th century. Walk The South West Coast Path and The Saints' Way long-distance footpath to Fowey. Cycle along the Camel Trail on the former railway route. 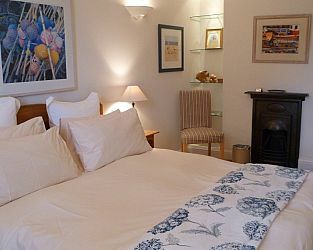 If you seek accommodation near Padstow in Cornwall you have come to the website of a “club” of providers who offer affordable quality accommodation around UK in hotels, bed and breakfasts, guesthouses, inns, and restaurants plus self-catering cottages and apartments .